We also have Expert Designers on staff! 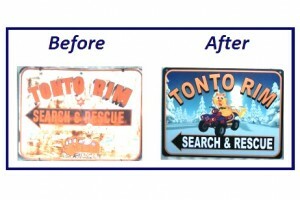 Here’s an example of a recent project for the folks at Tonto Rim Search & Rescue. They had no graphics from their old sign, but really liked the wild n crazy ‘cat’ driving the ATV. We created the Crazy Cat driver and found a perfect background for our lovely winter Rim Country… you can see the result for yourself. 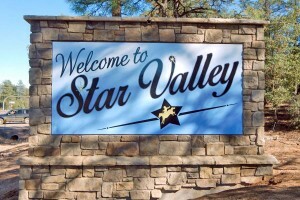 New Sign for Star Valley! The township of Star Valley recently had Ironhorse Signs design, manufacture, and install two new signs welcoming visitors at each end of town. 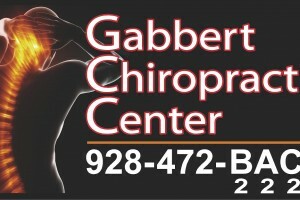 It was a pleasure helping Star Valley promote itself and update their image. Thank you to all involved with this project!